Quite literally some think a 21st Century civil war has erupted on the American political scene as Democrats bask in the awards season while having won a few elections. How silly of them. They think their opponents are Republicans when, in fact, their opponents are America's most organized, well-funded political ideologues - the Neoliberals. 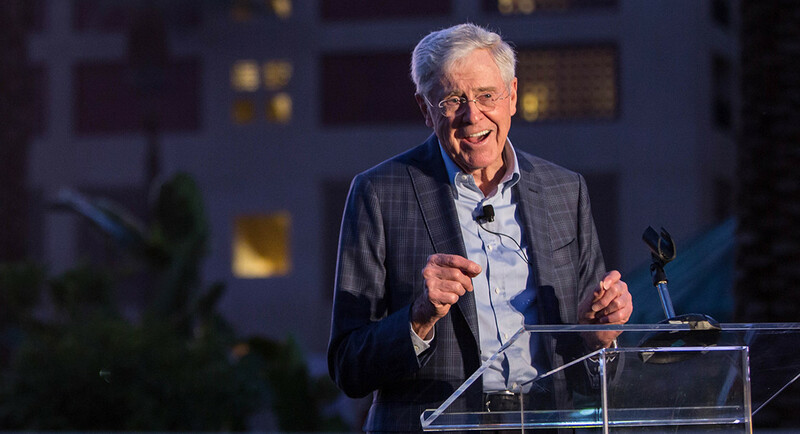 Werner-Robertson is one of 550 members of the Koch network who have come to a resort outside Palm Springs for a three-day seminar, each of whom commits to contribute at least $100,000-per-year to Koch-linked groups. 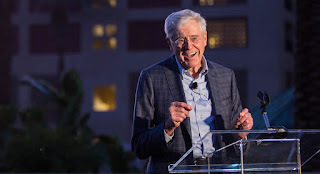 This is their biggest gathering since the Koch brothers began convening like-minded donors twice annually in 2003. On our website page Wealthy Neoliberals Matter: How an Economic Ideology Took Control of U.S. State and National Legislative Agendas the history, organization, and success of the Neoliberal movement in the United States is reviewed. Last weekend, confronted with several Democratic candidates winning special elections in the past few months, more Neoliberal millionaires gathered than ever before. The network associated with conservative billionaires Charles and David Koch is calling on Congress and the White House to compromise on an immigration deal that provides a permanent legal status for 1.8 million undocumented young adults known as Dreamers, while also enhancing border security. "We welcome a debate about whether our current legal immigration policy properly balances family and skills-based migration," Daniel Garza, president of the LIBRE Initiative, said in a statement. "But that broad debate should not distract from the immediate goal of providing certainty to Dreamers and enhancing security." "We look forward to working with Congress and the White House on balanced legislation that enhances border security, protects the Dreamers, and wins bipartisan support," he said. And the Neoliberals are backing a real prison reform effort while "downplaying the challenge Attorney General Jeff Sessions might pose to their objectives on criminal justice reform, which the network said would be a key policy focus this year [instead of] a broader criminal justice reform proposal that some lawmakers and the Koch network have championed." As explained on our web page, the Neoliberals have no right-wing social policy agenda. Their sole government policy concern is the relationship between government and the economy. At any point in time, to win they can easily advocate for liberal causes except anything resembling socialism or restricting business activity. In fact, they don't like government doing more than the minimum necessary to protect property. Looser immigration policy? Why not as it expands the labor pool. The same thing could be said for reversing the Clinton Administration policies that created prison overpopulation. Since Third Way Democrats support Neoliberal economic policies, the Progressive Pacific Message has a hard time finding political support. As of this moment, there is no Progressive billionaire rounding up his 550 rich Progressive friends for a meeting twice a year and having them fund multiple Progressive policy advocacy organizations in every state to gain control of government. There certainly hasn't been such activity since 2003 or 1947. This year the Neoliberal goal will be to minimize the loss of Republican members in state legislatures and Congress. Then they will plan for expansion of their control in 2020 while putting their economic policy goals into place state-by-state. Democrats will still be laughing at a comedy bit done by Hillary Clinton presented on the fun Grammy awards show while the Neoliberals implement their economic polices which neither the Democrats nor Donald Trump understand.